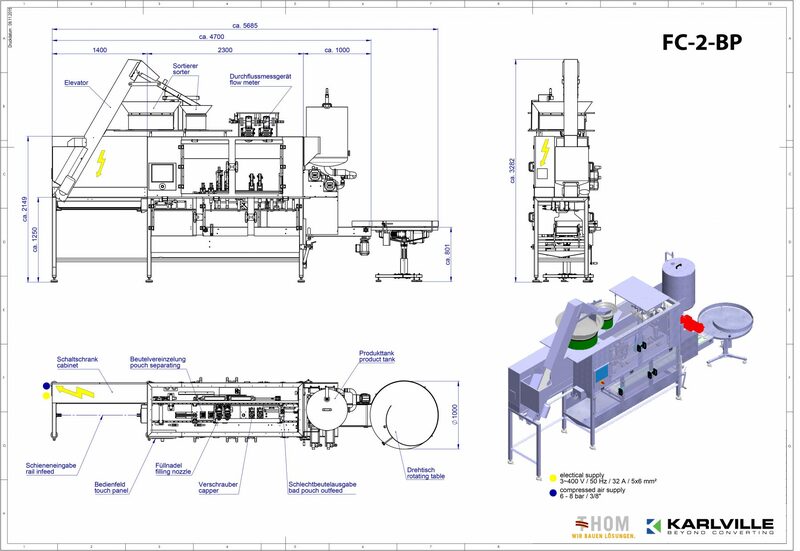 The SPOUTPRO FC-2-BP is entry our model for inline automatic filling and capping of PacXpert type flexible pouches. This machine will be fed with pre-made PE PacXpert spouted pouch. 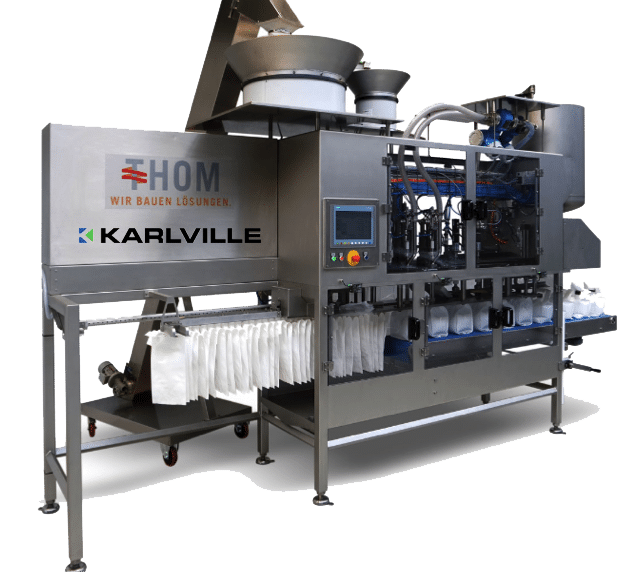 This complete machinery has the possibility to automatically fill and cap jumbo pouches – PackXpert design. Type of Pouches Jumbo pouches – PacXpert design.